After extensive research and surveying fellow gamers, it was clear that the top Xbox One Headset on the market is the Astro A40 headset with the MixAmp. There is no denying the crisp, clear sound of the A40 Headset paired with the MixAmp. It can be used in a professional gaming setting or just for recreational use in the comfort of your home. According to the information gathered from experienced players, it’s safe to say that when it comes to a gaming headset, quality trumps price. However, this Top Five List does include decently priced, high quality products. We took the time to compare countless models of reputable name brand Xbox One Headsets which allowed us to decide the top five based on factors that are vital to a dedicated gamer. In order to determine the top five best headsets for Xbox One, there were many factors to look into. 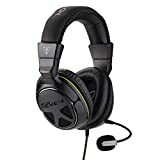 Trying to find the perfect gaming headset can be difficult, especially if you are searching for a product with top-notch features. Keeping these amenities in mind, we discovered some quality name brand headsets and started to search the web to compare different brands and models. After researching the headsets, it was clear that pristine sound quality is the most important feature when purchasing a new Xbox One headset. There are several factors that will help determine a crisp, clear gaming experience. Bass is very important, especially when playing First Person Shooter games. The bass in the headset will enhance the weapon sound effects, making the game sound more realistic. However, it is important to find a headset that doesn’t have too much bass because it will drown out other sounds in the game. Surround sound is also another option to consider when buying a gaming headset. Most headsets contain either “true surround sound” or “virtual surround sound”. True surround sound headphones feature several speakers arranged at different angles, giving realistic sound effects seemingly coming from all directions. Newer headsets include 7.1 surround audio. Virtual surround sound attempts to mimic a true surround sound effect with just two speakers. 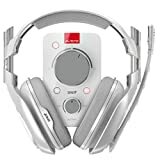 Some headsets include a mixamp, which can be included internally or externally. A mixamp raises and lowers audio volumes, which sounds very similar to actual surround sound speakers. A mic is a very important feature on a headset and in modern gaming in general. Most games allow the player to communicate with fellow gamers from all around the world. Having a good microphone is essential in order to play and communicate with others in the gaming world. A desirable microphone should be extremely clear with no interference coming from background noise. A good mic will be able to determine the sound of your voice, therefore blocking out all background sounds. Players don’t want to hear you typing or clicking away… or a family member yelling at you. The design of the mic is also very important. The attached microphones should be flexible to move up and down and also have a little bit of a distance from your mouth. If the mic is too close, other players are able to hear your breathing, gasps and shouting at an unnecessary loud volume. Choosing between an open or closed Xbox One headset is a very important decision to make. The difference between the two are huge, so this factor is really based on personal preference. Closed headsets cup around your ears, ensuring that it’s not exposed. This is beneficial to gamers in a noisy environment who don’t want to be disturbed while playing. Closed headsets also allow the player to hear sound effects that otherwise might be overlooked. This headset will also absorb the sounds of your game so others in the room cannot hear the sound leaking out. It’s important to remember that your ears may sweat or get hot from the padding. Open headsets are perforated and allow the player to hear noises outside of the game. They ensure a more natural sound allowing the gamer to mildly hear what’s going on around them, which is a useful feature for some players. 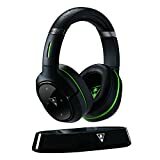 Open headsets are lighter and more free around the ear area but can also leak sounds out, meaning surrounding people may be able to hear your game sound effects. Comfortability is a must while focusing on a game. Who wants to sit for hours on end with a headset that squeezes your ears or is tight on your head? No one! Whether you are a professional Xbox One gamer, a dedicated fan that plays for hours on end or just an occasional player, having a comfortable headset is of the utmost importance. There are several factors to consider when looking for a comfortable headset such as the weight of the material, the fit around the ear and the adjustment to head size. When it comes down to it, no one wants a headset that is going to distract them from the main purpose; playing the game! Durability is important when choosing a headset. Buying a headset that is made to last is definitely a good choice, especially if you are spending the money to purchase a high-end name brand Xbox One headset. It is expected that a good headset will last for years, which would require reliable, sturdy materials. This includes ear padding, the frame, microphone, inner mechanics and cords (if included). The frustration of buying a new headset long before its expiration date is a disappointment and waste of money. After much research, we determined the Astro A40 TR headset with the MixAmp Pro TR to be the number one best Xbox One Headset. Astro constructs quality headsets and are very well known in the gaming world. One of the reasons this headset has such favorable reviews is because of the ability to customize. The Astro A40 is a wired headset that provides the option to purchase mod kits, giving gamers the ability to create their ideal headset. You can even customize your own speaker tags! This headset is commonly used by professional gamers and was built for an optimal gaming experience. The A40 is a lightweight at 11.4 oz and has an extremely adjustable headset. The thick headband and ear pads are cushiony and comfortable. The microphone provided is omni-directional for absolute precision. The high quality mic excels at focusing on the gamer’s voice while also diminishing background noise. The A40 microphone also has the ability to switch to either side of the headset. Voice chat is also already enabled in the headset, no so chat adapter is necessary. One of the amazing features of the Astro A40 with the MixAmp Pro is that you can modify it from an open backed headset to a closed back headset. The headset comes open backed when purchased, but can be altered with Astro’s Noise Cancelling Conversion kit. The kit provides noise controlled ear cushions, a special microphone and closed back speaker tags. The A40’s sound quality is absolutely stunning. The headset features Dolby 7.1 Surround Sound, enabling the user to hear every little noise from every angle. The really awesome thing about this headset is the MixAmp. The MixAmp allows the ability to control the ratio of game audio to voice chat. The headset is virtually lag and interference free. The Astro A40 is an all around durable headset, but again, is very customizable. Part of the appeal to the headset is the modification. Parts are easily replaceable with a mod kit. The A40 can conveniently be upgraded over time, eliminating the need to buy a newer model. Choosing the number one Xbox Headset wasn’t an easy task. There are many brands and models of headsets that are high quality and will happily satisfy a gamer’s needs. With that being said, we looked into four of the best alternative, up to par gaming headsets. The HyperX CloudX Pro is another wired, visually appealing headset made specifically for Xbox. This headset is also directly tested and approved by Microsoft. It’s also very affordable, which doesn’t hurt. It is applauded for its maximum comfort and weighs just 11.2 ounces. The headband is extremely soft and the ear pads are made of memory foam and leatherette padded cups. It also comes with a spare set of velour ear cushions. The HyperX Cloud noise-cancelling microphone is slim and detachable. This comes in handy if the headset is being used to just listen to music. The mic position is also customizable. This headset is closed back so it is ideal for gamers who want to completely immerse themselves in the gaming experience with no surrounding interruptions. HyperX’s CloudX is not a surround sound headset. However, the sound quality is still excellent, providing impeccable low, mid and high tones. This headset is durable, while remaining extremely comfortable. It has a solid aluminum frame that ensures stability. It’s no secret that the reputable company Turtle Beach provides quality headphones for gamers. The Ear Force Elite 800x is a wireless, sleek design made for serious gamers. The headset comes with an impressive magnetic charging stand. Fully charged, the battery lasts for ten hours. It also includes a Bluetooth radio and customizable speaker plates. The 800X has synthetic leather ear cups made of memory foam and weighs 13 ounces for comfort. This headset has no protruding microphone; it’s actually built into the headset. The microphone has proven to be quite effective, despite doubts that it could perform as well as other reputable headset microphones. The Elite 800x is another closed back headset with effective noise cancellation abilities. This headset features DTS Headphone:X 7.1 surround sound along with superhuman hearing. Turtle Beach’s superhuman hearing feature allows the player to hear every little subtle sound. The Elite 800x is durable, but might need some extra care due to the high tech features. Dropping a headset like this could potentially ruin the whole product. The Turtle Beach Ear Force one of the top five Xbox One headsets simply due to its high praise and affordable price. This wired headset has everything you need to game successfully while providing a high quality product. The Ear Force XO Seven Pro weighs 11.7 ounces. It includes an adjustable padded headband with memory foam cushioning. The microphone on the XO Seven pro is Uni-Directional and removable. The mic includes the ability to mute, presets with the option to fine tune the audio and ability to hear the volume of your own voice to ensure you aren’t yelling into the mic without realizing it. This is another closed back headset, desirable for serious and professional gamers. The XO Seven Pro includes Turtle Beach’s superhuman hearing feature, providing crisp audio from the provided 50mm amplified speakers. The headset also includes audio control and presets, including one for an enhanced bass effect. This headset is very durable and has a solid yet sleek appearance. This headset can definitely withstand heavy use and can be handled without worrying that it will break easily. The Polk Audio Striker Pro Zx is a high rated headset that includes a wireless adapter specifically for the Xbox One. This headset can be used on pretty much everything; smart phones, PCs and gaming consoles. The Striker Pro Zx provides a lightweight design at 11.2 ounces. The metal construction includes a leatherette headband and lay-flat pivoting ear cups. This headset includes an omni-directional detachable microphone that has a push button for muting. It also includes an in-line mic constructed specifically for crystal clear chatting. The Polk Audio Striker Zx is a closed back headset, eliminating cross-talk while providing an ultra-clear audio experience. Polk enabled custom tuned drivers for its patented audio technology that provides a perfect audio balance and clarity. These include Polk’s dynamic balance driver and the POET design which stands for Polk Optimized Electronic-Acoustic Tuning. Seeing as the Striker Zx is such a versatile headset, it isn’t surprising that it’s quite durable. Metal headsets are about as durable as it gets, which is just another great feature of this headset that does it all. All five of these highly rated Xbox One headsets are desirable but none of them can beat the Astro Gaming A40. The ability to basically create your own custom headset is a deal breaker. Astro made sure to provide every detail to cater to a gamer’s wants and needs. Astro beats the above brands but the other four were pretty close behind. None of these headsets will be a regretted purchase and all five will be money well spent towards an amazing Xbox One gaming experience. Quality Xbox One headsets will often come with their own Amp/Mixer. Why's that important? Find out. We rank the Best Headsets for Xbox One in this review.